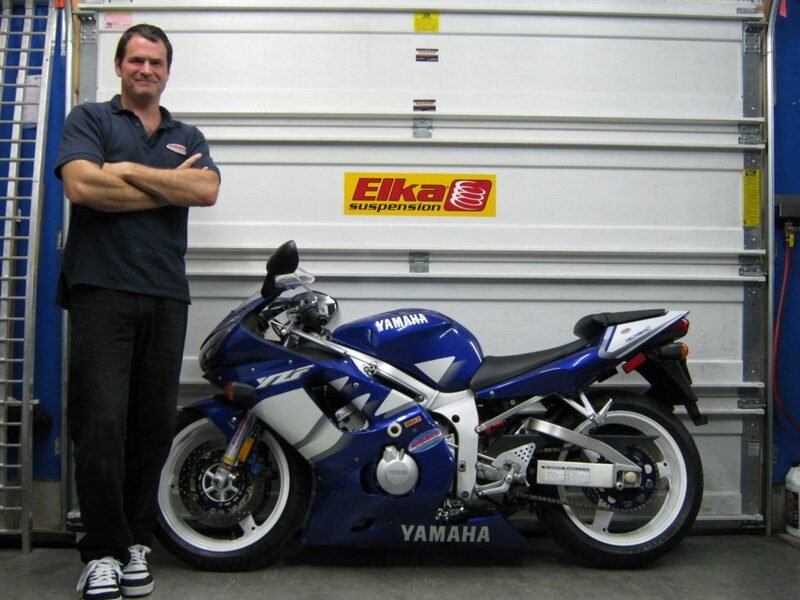 I receive many inquiries about lowering motorcycles from people that wish to purchase or have purchased motorcycles that are taller than they are. Riders, both beginner and experienced, gain huge amounts of confidence in their abilities when they can comfortably touch both feet on the ground when coming to a stop. Unfortunately, I see so many new bike purchasers wandering around the bike shows sitting on bikes until they find one that they can touch the ground on with no real idea that just about any bike in the show can be modified to fit properly. They may even end up purchasing a cruiser because of the low seat height, when they really wanted a standard bike or maybe even a sport-tourer. Then, even worse, they may buy the bike they don’t really want and never enjoy it or look forward to riding it, even going so far as to putting it up for sale a year or two later because they don’t use it. If this circumstance befell a brand-new rider, they may even abandon the sport for good as they aren’t enjoying riding at all, which does none of us any good. Each year I encounter people who have attempted to lower their bike, but are very disappointed in the results, never enjoying the handling of the bike, but don’t know quite enough of what to change to make it better. Some people just back the preloads all the way off on the front and rear suspension and the results are immediate and encouraging. But now what? Well, to lower the front some people with a little bit more knowledge will just slide the forks up in the triple clamps a whole bunch, but this doesn’t really lower the seat as much as they were hoping, so they do a little research and ask around. To really lower the rear of the bike, the industry offers many lowering plates that replace a portion of the rear suspension linkage system. This linkage connects the rear shock to the frame, but the aftermarket ones change the engineered length to dramatically lower the seat by advancing the swing arm up through its travel in relationship to the shock’s travel. 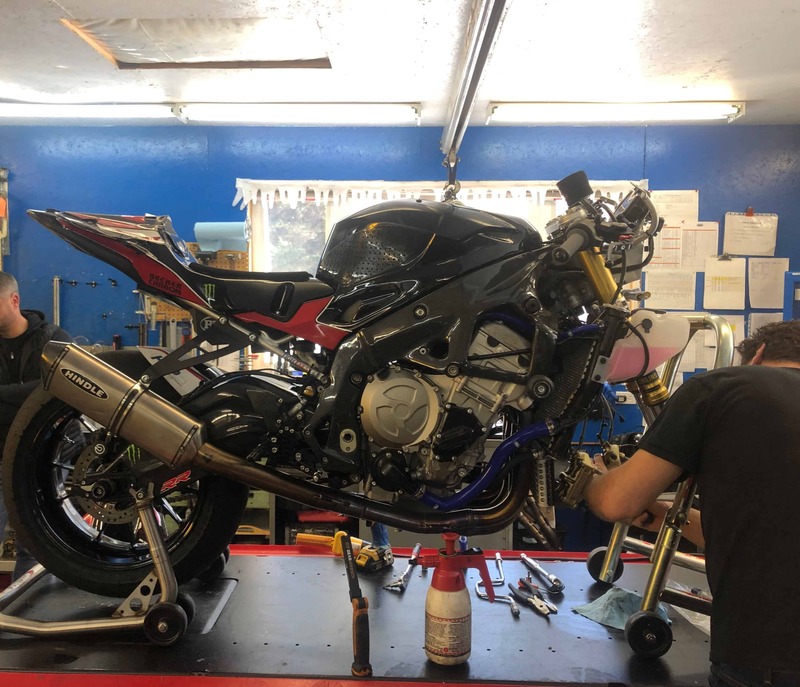 The even more experienced mechanics or dealership staff will realize that to keep the balance of the bike closer to its designed parameters you really need to adjust both ends the same. 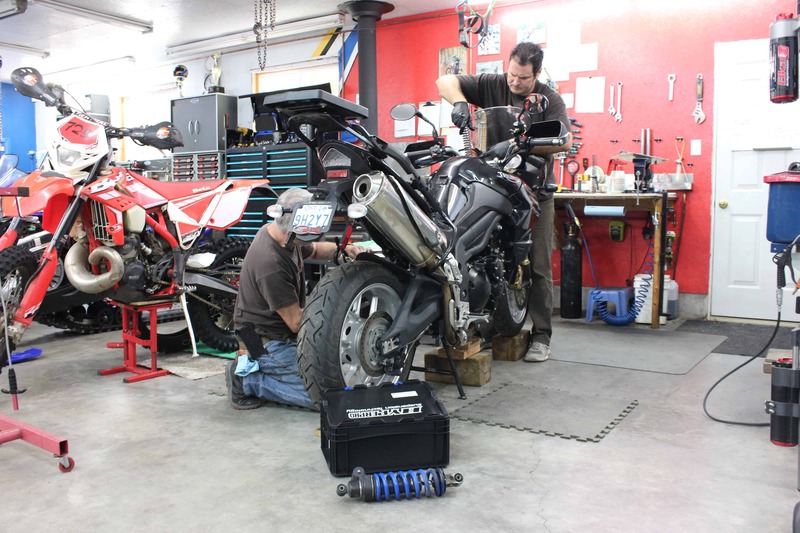 Now, let’s look at some issues that commonly arise when lowering motorcycles. First off, remember that keeping the bike balanced front to rear is incredibly important in terms of handling, steering, traction, and bump absorption. A typical motorcycle will carry between 51 and 52% of its weight on the front wheel, and if you lower the rear of the bike without lowering the front, you have moved a significant amount of weight towards the rear wheel. This shift in weight distribution usually increases rear tire grip during acceleration but will cost the rider a tremendous amount of confidence in what the front end of the bike is going, especially in the wet. The rider will complain of a vague feel from the front or maybe even lose grip in faster corners (which can be tragic) if the pavement surface is compromised by moisture, the tiniest amount of grit or caterpillars (don’t ask). Dropping only the rear of the bike also significantly changes the rake and trail of your stock motorcycles front suspension geometry. As the rear is lowered the rake angle of your forks increases, slowly turning your motorcycle into a chopper, with all the handling traits that go along with it, namely a large increase in effort to initiate turns, and disrupted manners when braking while leaned over, this combined with the reduced weight on the front end, makes for a pretty miserable handling bike that lost any riding confidence you gained from being able to put your feet down while stopped. 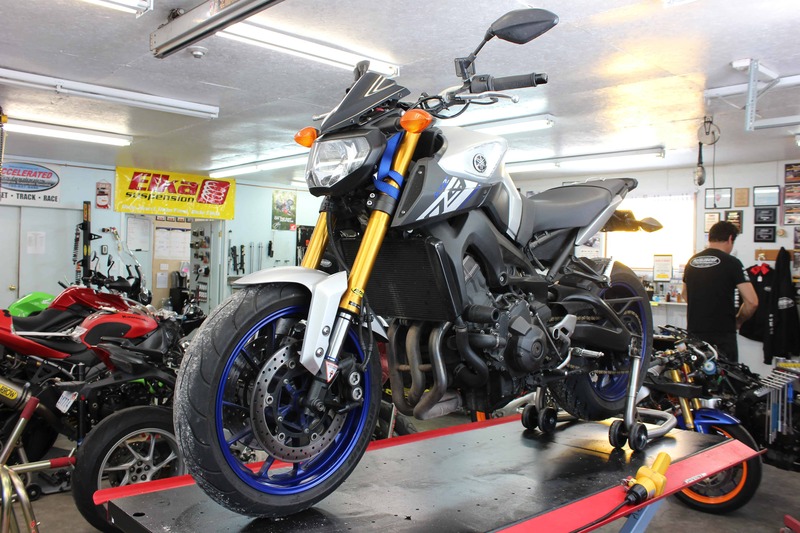 Also, the method of lowering the rear of the bike has to be scrutinized, as simply removing preload is ok to a point, especially as shorter riders are usually also lighter riders. Some OEM shocks use a cam style spring preload adjuster with 6 or 8 options for preload, which works great as the preload is easily adjusted by nice significant ‘clunks’, whereas the style that uses a threaded adjuster gives more fine tuning, but also permits the rider to adjust the shock spring way out of its designed operating range. I have seen riders crank the preload up so high that the bike has around 7mm of rider sag (ideal may be closer to 25-30mm) and dangerously spins the tire anytime the throttle is touched, to people that have removed so much preload that the spring actually comes loose and flops around under decreased load like heavy braking, which can become catastrophic if the spring retaining collar were to dislodge. Now, the concern with lowering links is that they move the wheel way up in its travel without altering the starting point in the stroke of the shock. During a very large bump or hit to the rear wheel on a bike with unmodified suspension, the shock strokes deep into its stroke, eventually approaching the designed maximum suspension travel, coming quickly to rest as the body of the shock hits the bump rubber, which is a fat rubber cone residing on the bottom of the shock shaft. This bump rubber rapidly and abruptly stops the motion of the shock; it is uncomfortable to feel this being engaged while riding the bike, but it is far better than a metal to metal bang that would be felt without the bump rubber. Now, if we modify the suspension linkage with a lowering link system and move the swingarm way up without modifying the shock, the spinning rear wheel may slam into the battery box or the plastic underbelly of the tail section before it contacts the bump rubber. It is especially prone to doing this if the preload has been backed off compounding the problem. I saw evidence of this happening on a $50,000 meticulously prepared drag bike, where suspension seemed to have strangely been relegated to least important on the bikes preparation list, which included a ratchet strap holding the front forks compressed, completely eliminating the bump absorption ability of the forks as well as effectively removing the top out spring system that helps the wheel stay on the ground during the all important launch.